Voices regret over Mountain Meadows Meadows Massacre but regrets what? Is there a conflict between Mormonism and the public trust? The Mormon doctrine of Blood Atonement as taught from the mouth of Brigham Young. Mormonism teaches that the sacrifice of Jesus Christ was insufficient and that we have to do some work on our own to atone for sins. The Mormon doctrine of Blood Atonement teaches that we commit some sins that require our own blood (murder) to be shed to atone for those sins (damnable heresy). Here is a collection of quotes from second Mormon “prophet” Brigham Young. I hope you don’t believe what you read. I hope you believe it’s all lies or taken out of context. I encourage you to research it for yourself. These can all be verified and proven in context by reviewing the Journal of Discourses for yourself. Just Google Journal of Discourses or go to the LDS Offical site. "It ought to be called a non-Christian center or anti-Mormon center," said Bishop David Wright, a top Mormon Church leader in Nauvoo. "I don't see anything Christian about it." Of course we are Christian! The word “Christian” is right in the name of the Center: The Nauvoo Christian Visitors Center! I guess what's good for the goose, doesn't apply to the gander!! Hmmmmm? Perhaps Bishop Wright thinks because we don't believe that Jesus and Satan are literal brothers as the Mormons do, we don't meet the Mormon defintion of Christian? Truth...Mormon Prophet Brigham Young or Elder Jeffrey R. Holland? “The Lord knew how to preach to the Jews, and told them what the truth was. You may as well undertake to command the most degraded of these Indian tribes, and give them arms and accoutrements, and try to put them through the regular military exercise, as to preach to the Jews to make them believe in the Lord Jesus Christ… I would rather undertake to convert five thousand Lamanites, than to convert one of those poor miserable creatures whose fathers killed the Savior, and who say, "Amen to the deed," to this day. Yea, I would rather undertake to convert the devil himself, if it were possible. Then I say to the Elders in those regions, be not astonished if you have to see hard times. And if I had a voice that would reach the ears of all those Elders, I would say, LEAVE THEM, AND COME HOME, THE LORD DOES NOT REQUIRE YOU TO STAY THERE, FOR THEY MUST SUFFER AND BE DAMNED. Now, sisters, write to your husbands who are in regions where the Gospel has been preached anciently, to come home; and I say to all the Elders who are in lands where the Gospel has been preached previous to our day, come away from that people, and leave them to live and die in their sins and ignorance. 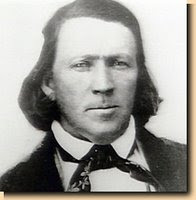 For the sins of their fathers are a sweet morsel to them, and they take pleasure in their wickedness; therefore, let them alone, and come home, and preach to the Lamanites” (Brigham Young, December 3, 1854, Journal of Discourses 2:142,143. Emphasis his). JERUSALEM — When Elder Jeffrey R. Holland visited Jerusalem in 1987, he was besieged by thousands of Orthodox Jewish protesters who feared the church's new educational center here would be a base for missionary work. During a visit two decades later, Elder Holland, a member of the Quorum of the Twelve of The Church of Jesus Christ of Latter-day Saints, said he felt no such antagonism. Though many Orthodox Jews remain wary of the LDS presence here, others say the church has made good on its promise not to use Brigham Young University's Jerusalem Center to proselytize. "After some of the misunderstandings and accusations that we endured during the building of the campus, it is most gratifying to have enjoyed two decades of pleasant, productive association with all our friends in Jerusalem," Elder Holland said after he and BYU President Cecil Samuelson met with local university presidents, Israeli lawmakers and Muslim, Jewish and Christian leaders. The visit by Elder Holland came ahead of the church's Annual General Conference this weekend in Salt Lake City. Elder Holland attributes the improved environment in the Holy Land to a promise the church made to refrain from its traditional missionary work. Israel has laws against missionary work, and for many here, proselytizing is dangerously close to the forced conversions European Jews endured for centuries. To respect cultural and historical sensitivities, BYU students sign a pledge not to speak about their religion while in the Holy Land. Still, some Israeli officials can't shake their suspicions about a religion that has more than 50,000 full-time missionaries seeking converts around the world. "We must remember that the Mormons have a strong belief in missionary work," said Mina Fenton, an Orthodox member of Jerusalem's city council. "They have big, big money and they buy things. I call it the money crusade against Jews." Joseph Ginat, director of the S. Daniel Abraham Center for Strategic Dialogue at the Netanya Academic College, said Israel has nothing to worry about from the Mormons. "When they opened the center, they gave their word they wouldn't proselytize. I've known the Mormons for years now, and they are very serious about keeping their word," Ginat said. The church's campus in an eight-story building on Jerusalem's Mount Scopus overlooks the disputed holy site known to Jews as Temple Mount and to Muslims as Noble Sanctuary. It shut down six years ago during a flare-up in violence between Israel and the Palestinians but reopened in January after hostilities subsided. Before the center was inaugurated 20 years ago this month, the BYU Jerusalem program was run out of hotel rooms and rented classrooms for 15 years. Like many Western religions, the LDS Church has deep emotional ties to Jerusalem. The Book of Mormon, which members of the religion abide by together with the New and Old Testaments, says that Israelites migrated to the New World and were the ancestors of American Indians. Latter-day Saints believe that church founder Joseph Smith Jr. translated the holy book from golden plates he discovered through an angel in the 1820s and restored authentic Christianity. The book follows the story of a family who leaves Jerusalem for the Americas around 600 B.C. In 1841, Smith sent apostle Orson Hyde to Jerusalem to dedicate the land for Smith's prophecy of the return of the Jews. A park on the Mount of Olives commemorates Hyde's pilgrimage. "In so many ways, Jerusalem ... constitutes the scene, the setting and the circumference of our religious heritage," Elder Holland recently told a new group of 44 students at the church's Jerusalem center. "The origins of our sacred texts all focus us here." Sandra Tanner, great-great granddaughter of Brigham Young, visited Nauvoo March 27-28th. Sandra was in town to film two TV shows on “Truth Outreach” with Rocky and Helen Hulse of the Nauvoo Christian Visitors Center. The two programs should air the week of May 14th and 21st. Sandra Tanner and her late husband, Jerald, are foundational figures in Christian outreach ministry to Mormons. The Tanners, both born and raised in the Mormon Church, and from “First Families” of Mormonism, left the Mormon Church and were saved as Christians in the late 1950’s. Their journey out of Mormonism came as a result of their seeking answers to questions that they had about Mormonism and their research to answer those questions. The Tanner’s research is foundational to most ministries which address Mormonism. Their research is voluminous and covers virtually every aspect of Mormon history and doctrine. Often attacked as “Anti-Mormon,” their research speaks for itself. The Tanner’s gained a certain level of notoriety during the Mark Hofmann scandal of the mid-1980’s. Mark Hofmann, an active Temple Mormon and returned Mormon Missionary, found a lucrative market in the antiquities trade – specifically period documents of early Mormonism. Mr. Hofmann became a master of forgery and began to forge documents and offer them for sale to the Mormon Church. One document in particular the so called “Salamander Letter,” was brought to the Tanner’s by Mark Hofmann in hopes of having their interest inflate the price he could get for the document. Hofmann had been selling controversial documents to the Mormon Church for thousands of dollars, whereby the Church would place them in their vaults and remove them from circulation. Hofmann’s plan to get the Tanner’s endorsement backfired. The Tanner’s, so meticulous in their research were not fooled by the “Salamander Letter.” The Tanner’s instead published a newsletter where they questioned the documents authenticity and first brought up the possibility of forgery. The current Prophet of the Mormon Church, Gordon B. Hinckley, and current President of the Quorum of the Twelve Apostles, Boyd K. Packer, were advisors in the purchase of these forged documents and were completely fooled by Mark Hofmann. Isn’t it ironic that the Tanner’s, derided as “Anti-Mormons,” were not fooled by Hofmann’s forged documents, and those sustained as “Prophets, Seers, and Revelators” of the Mormon Church were. "WHEN SALT LAKE CITY CALLS"